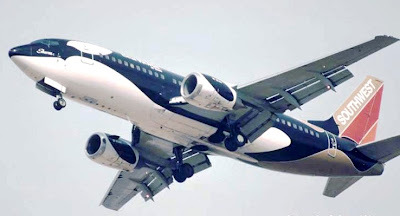 Southwest Airlines named Boeing 737, "Shamu", which is one of three aircrafts that were painted in a killer whale color scheme to represent the SeaWorld Adventure Parks. Just horrible. In 2006, Qantas Australian airline decided to repaint three of their 747's to represent some of the core values of the Aboriginal population of Australia... The result was somewhat scary. ANA Japanese Airways flies four specially painted airplanes as part of its "Pokémon" family of jets. 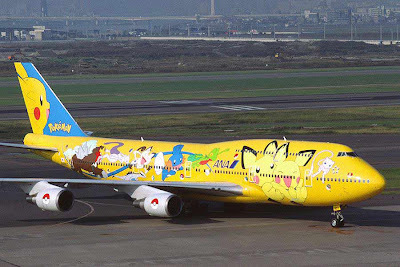 The exterior of the aircrafts is painted with characters from Pokémon, the popular software game and television cartoon series. 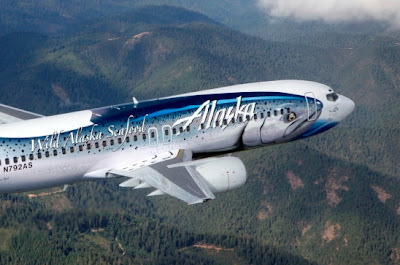 The "Salmon Thirty Salmon" is a Boeing 737 painted in the likeness of an Alaska Wild Salmon. Sporting the glimmering image of a wild Alaska king salmon, it is among the world's most ridiculous painted commercial airplanes. 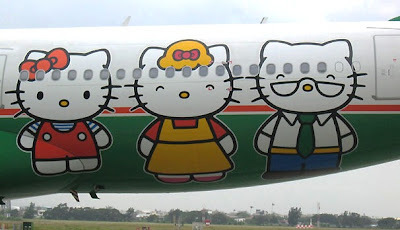 Taiwanese airline EVA has repainted one of its jets with giant Hello Kittys. 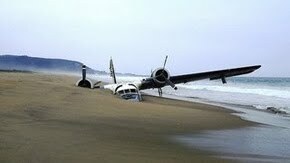 Surprisingly, the plane's interior is much worse. In 2005, Swissair launched McPlane for holiday destinations in Europe. If Ronald McDonald is the pilot, I would try to jump out even during flight! To celebrate 20 years of flying to China, and 35 years of friendly relations between China and Japan, ANA has decorated a 767-300 in a panda motif to delight passengers in North East Asia. 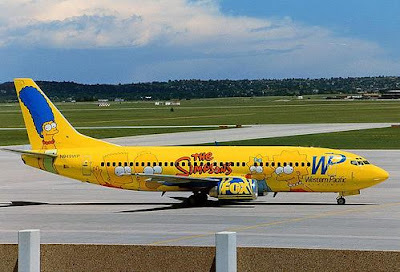 In 1995, Western Pacific airline painted a Boeing 737 this way for the promotion of The Simpsons. Matt Groening didn't take the first flight, as he thought it was going to crash and he didn't want to die in such a situation. 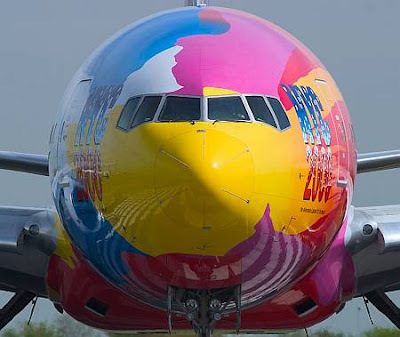 NYC 2000 official plane, a Boeing 777 from Continental Airlines, was painted by world-renowned artist Peter Max to promote New York City's Millennium Celebrations. 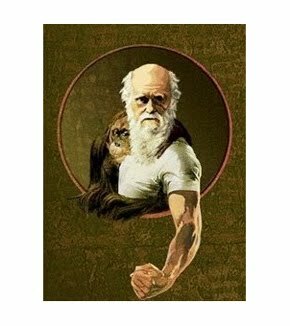 Perhaps, Max was confident in the end of the world predictions and thought nobody would see his creation. 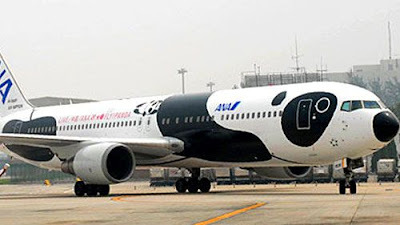 I like the Killer Whale plane- its not ugly. Ha yeah some of these are hideous. I kind of like the Simpsons plane though. I remember seeing that back in the 90s. I kind of like the Alaska Salmon one. 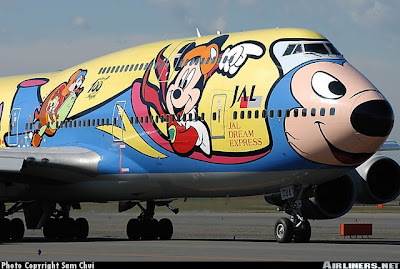 But the Mickey Mouse 747? Shoot me know.